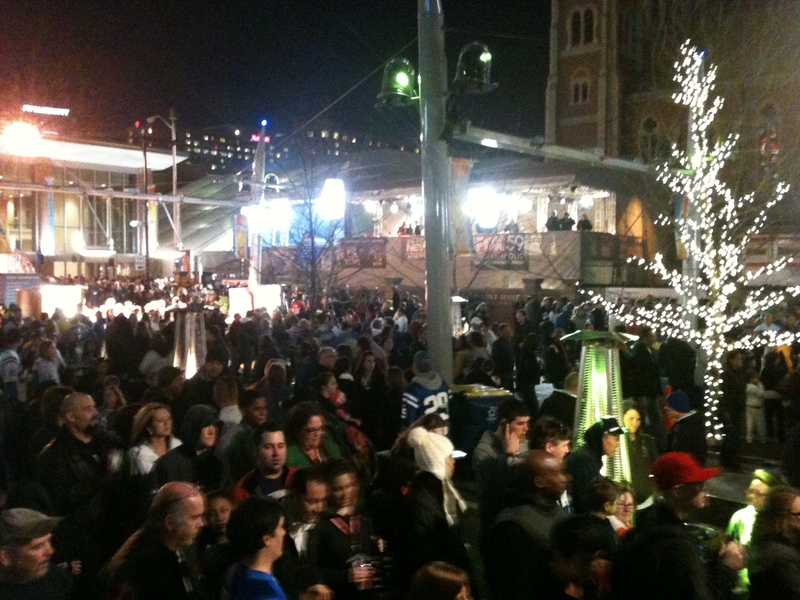 Friday night we ventured downtown to see the Hoosier Hospitality we’ve been hearing about at the Super Bowl Village in downtown Indianapolis. The weather has been perfect – 50’s and above and no snow. 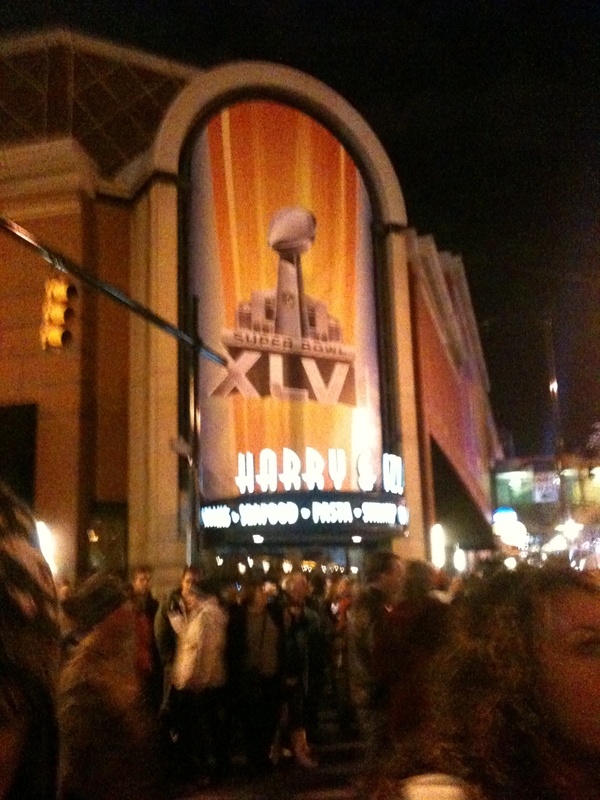 Downtown Indy is perfect for this event because everything is within walking distance including the stadium. It was PACKED, but everyone was in good spirits and having fun. We saw the much talked about zip-line and many street performers. 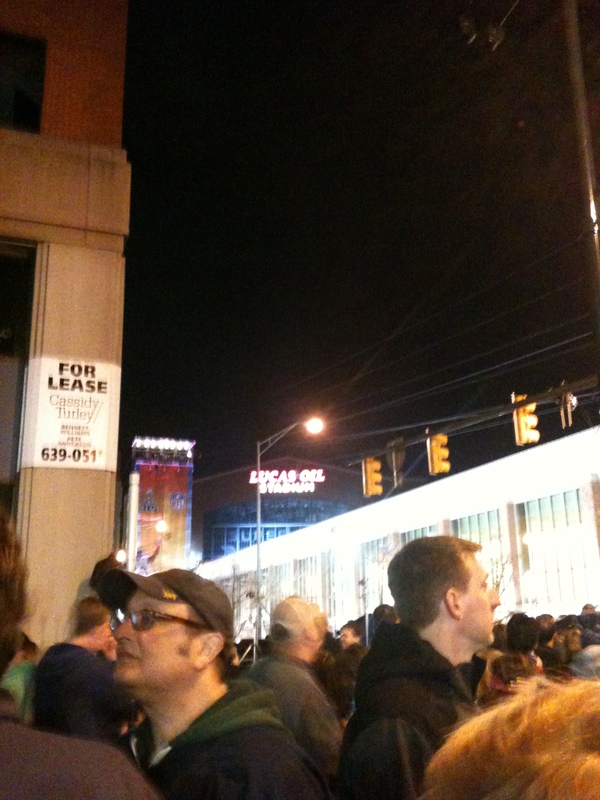 The areas around the concert stage for LMFAO was too crowded to get awaywhere near, but we had fun just people watching. Its nice for the rest of the world to see what a great city Indianapolis is! These pics were taken with my iPhone, so the quality isn’t great, but you get the idea. Sunday night I’ll be watching the game and rooting for Eli Manning and the Giants to beat the Patriots!